An analysis of the CVR from Germanwings 9525 now makes it clear that copilot Andreas Lubitz deliberately locked his captain out of the cockpit and then flew his A320 with 150 passengers into a mountain. There has been speculation that Lubitz suffered from bouts of depression, and there is no doubt that investigators will comb through every bit of his past for clues that might explain his actions. Finding a history of mental illness will be of little consolation to the friends and relatives of the murdered passengers and crew. What will matter is explaining how this happened and how it can be prevented from happening again. This was essentially a single point failure due in part to policy, and would be unlikely to happen in the US. After 9/11 all airlines globally were required to armor and enhance cockpit doors to prevent a breach. This enhancement included provisions to gain entrance in case of a lockout. A code entered into a keypad by the door unlocks the door in a specified amount of time while alerting the cockpit. Should someone in the cockpit hear this alert, they can push a button which then denies access. There is also a simple deadbolt which can be thrown to deny access. So if someone is up front and wishes to keep out intruders, the door is essentially impregnable. Recognizing the potential for one person to gain access and then lock the door, the FAA designated the cockpit a "no lone zone" meaning that should a pilot exit the cockpit for whatever reason in flight, a flight attendant had to replace him or her up front. Once up front, the door opens with a simple twist of the door knob. Theoretically, should a rogue pilot or flight attendant attempt anything, it would be easy to open the door to call for help. At least those are the rules for US airlines. Apparently for whatever reason, the rule was not made or enforced in Europe and other places. After this tragedy, the rule is being quickly changed. Aviation authorities and politicians will now have to explain why the rule was not adopted in Europe. There has been speculation backed up with some anecdotal evidence that Lubitz had suffered from depression in the past. Questions are now being asked about what sort of mental health screening prospective airline pilots undergo. The answer is very little. After leaving the military, I interviewed with four airlines before being hired. The process was similar at each airline and included a series of document and background checks along with a series of interviews. As far as any mental health screening, two of the four airlines required the completion of a standard personality inventory such as the MMPI while two did not. Personality inventories are multiple choice questionnaires designed to assess personality types. Some major US airlines are known to give psych evals with a medical professional, but this is not the rule. I have no idea whether the results of these tests are used to eliminate pilot candidates, but that was the extent of any mental health screening I've ever received. I myself might be completely starkers for all I know. My wife certainly has doubts. My extended family, on the other hand, has no doubts whatsoever. So should mental health questions arise in a pilot, they will be either self reported or evident through behavior observed by family or co-workers. All pilots undergo routine annual (semi-annual for captains) physicals and by law must report to the FAA any visits to medical professionals or any medications taken. The flight doc checks your vision, listens to your ticker, and has you pee in the cup before collecting his $150 (cash or check only, please) before sending you on your way. That's it. As far as the FAA is concerned, any condition requiring medication will initially result in the pilot being grounded until evaluated by an AME (aviation medical examiner). The FAA specifically mentions four SSRI drugs which can be used while maintaining a medical qualification after appropriate evaluation. They are Prozac, Zoloft, Celexa, and Lexapro. Conditions requiring other drugs in this category are grounding. While not familiar with European medical policy, it can be assumed that it is similar to that of the US. It's easy to see that should a pilot suspect that he may have a condition requiring a mental health examination, it might very well ground him. Not exactly a positive incentive to self report depression or anxiety to the flight doc. The latest reports indicate that Lubitz was in possession of a medical notice grounding him but had torn it up. Watching a life's dream escape through his fingers while also suffering from depression might have been just enough to send him over the edge. This was an unspeakable tragedy for all involved, including Lubitz and his family. For some time now, post 9/11 security enhancements were thought to be mainly a problem for American air carriers. This attitude may have contributed to a somewhat lax posture towards cockpit security procedures in Europe. This tragedy will understandably force a reassessment of all cockpit security procedures worldwide. Thanks for your empathetic post. I know that, as a victim of chronic clinical depression, when I'm on the right meds i am perfectly sane. But when the meds need to be adjusted or changed I am not my usual happy and capable self. That doesn't mean I can't or shouldn't work. It just means I must be vigilant and my office knowledgeable about the adjystment period. Should I be flying a plane or driving a bus? No - because mass transit is not my calling; health care education is. 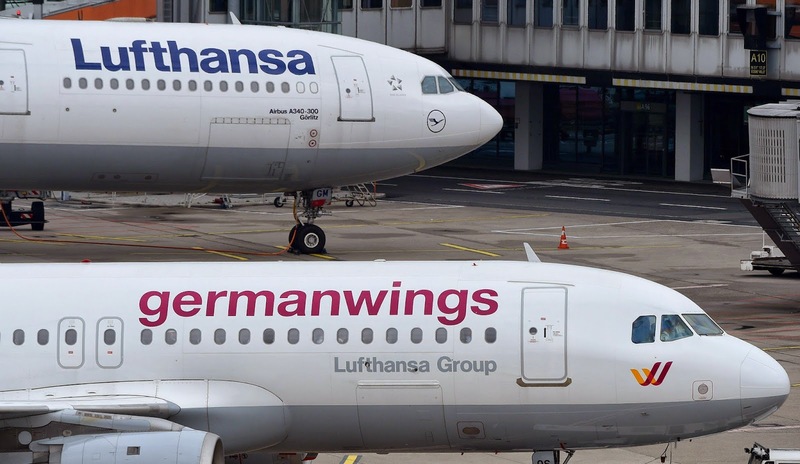 I hope the Germanwings tragedy opens more doors about mental health treatment than it closes..